Looking for a stainless steel brake line kit? Upgrade your stopping power with the added control provided by Competizione Sport Tuning Stainless Steel Brake Line Kits. 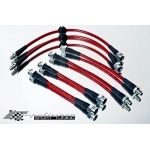 Over time, your old stock flex lines can expand, which leads to decreased response time and a softer pedal feel. By upgrading to Competizione Sport Tuning brake lines you get the improved feel and responsiveness that you have been missing. 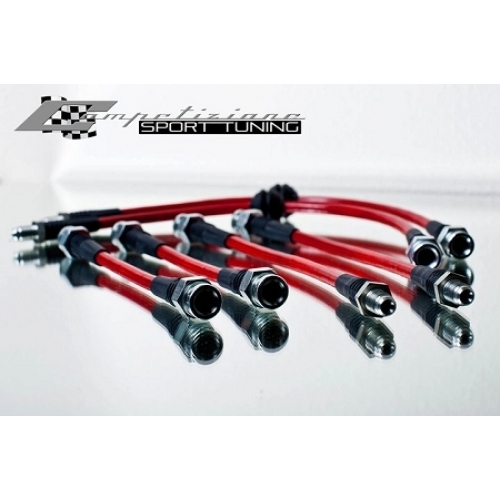 Competizione Sport Tuning Stainless Steel Brake Line Kits are constructed with a Teflon inner line that resists expansion under pressure and will not degrade from exposure to brake fluid. Plus, your Competizione Sport Tuning Stainless Steel Brake Line Kit features a stainless steel braid that supports the Teflon and protects against incidental impact and abrasion. On top of this, Competizione Sport Tuning adds a clear abrasion resistant cover, so you get impressive protection against chaffing. 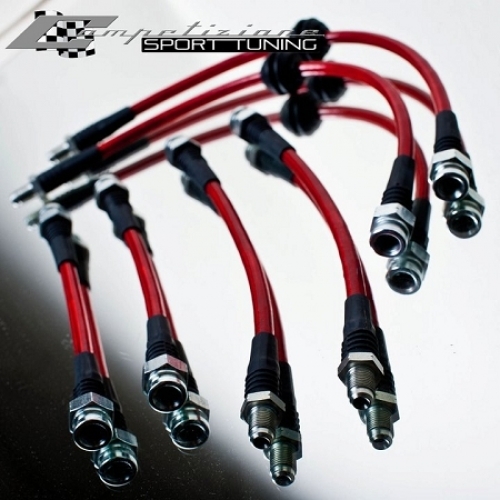 When you’re looking to upgrade your braking power, turn to a Competizione Sport Tuning Stainless Steel Brake Line Kit. They’re 100% tested to 4500 psi and DOT approved.